Posted on September 25, 2015 | Comments Off on To Improve Blood Pressure – Exercise! The good news — you don’t need to train for a marathon to actively lower your systolic blood pressure and further reduce your risks of heart attacks, strokes and premature death. Exercising regularly for a minimum of three months can have a desirable effect on blood pressure. Most of us are aware that exercise is good for our health and that becoming more physically active may lead to a longer, healthier lifespan. Studies show that fitness levels are a significant predictor of mortality, yet millions choose to ignore the health promoting benefits of exercise, including reducing, controlling and maintaining healthy blood pressure, helping to maintain a healthy weight and reducing stress. Physical activity strengthens the heart muscle and makes it easier for the heart to pump blood throughout the body, reducing arterial strain and supporting cardiovascular health. Depending on your age, overall health, medical conditions or physical limitations, it is recommended that you speak with your healthcare provider before starting any new exercise routine. For those who may have cardiovascular risk factors, low intensity aerobic training tends to have the lowest increases in systolic blood pressure and is believed to be the safest form of exercise for those just beginning an exercise program. Weight training should be approached with caution, as heavy weight training can pose a risk for those with hypertension. Even low intensity weight training can cause a temporary spike in blood pressure, so if you have hypertension, be sure to get your doctor’s okay before adding weight training to your routine. Generally, lighter weights and more repetitions are recommended to provide greater long-term benefits to blood pressure and cardiovascular health. As exercise helps to increase blood flow, the benefits are most pronounced immediately after a workout. For this reason, smaller amounts of exercise, say for 10 minutes or so, spread throughout the day may be more effective at preventing temporary blood pressure spikes during exercise for those with hypertension. Studies show that a combination of both aerobic and strength training exercise provides the most effective health benefits. Find time in your schedule to include 30 – 45 minutes of aerobic activity daily and doctor approved resistance training 2 – 3 times per week. Along with healthy nutrition, this amount of regular activity appears to be the ideal goal for reaching and maintaining optimal health. People who don’t engage in physical activity are much more likely to develop health problems and increase their risk factors for overall unhealthy aging. Continuing to be active on a regular basis can help to keep blood pressure levels stable as you age. For those inactive, but otherwise healthy, people or those who may be hesitant to start exercising, take heart. There’s an activity that’s right for you no matter what your level of fitness. Just be sure to start out slowly and increase your activity as you become stronger and more physically fit. The best exercises to reduce blood pressure appear to be any aerobic exercise that gets you moving. Walking, cycling, light weight training, gardening, swimming, dancing, household chores and standing up frequently throughout the day are all beneficial when performed regularly. For those of us required to sit all day at work or school, remember to get out of your chair for a few minutes every hour, as recent studies show too much sitting may be quite damaging to your long term overall health even when you exercise regularly. More good news — exercise intensity does not appear to play a significant role in controlling blood pressure. Going for a stroll several times a day or finding ways to stand more often throughout the day can help to develop healthier blood pressure levels. You can also choose a variety of activities to strengthen your cardiovascular system, increase muscle strength and help you stay motivated. Small changes can add up to big benefits when it comes to your risk of chronic illness. Be sure to include stretching exercises or yoga postures to increase your flexibility, prevent muscle cramping and decrease injury risk. Remember to breathe easily and continuously while exercising. 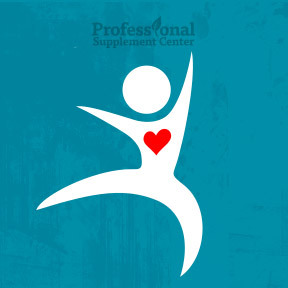 Bio-CardioSirt BP™ by Biotics Research – This patent-pending powdered formula supplies a unique combination of 7 key micronutrients that have been clinically proven to support normal, healthy blood pressure levels. Gluten and dairy free. Athletic Nutrients by Pure Encapsulations – This high potency, nutrient rich, highly bioavailable multivitamin, mineral and antioxidant formula supports exercise performance, promotes energy and aids muscle fatigue. Gluten and soy free, Non-GMO vegetarian formula. Cardio Peak™ by Life Extension – Cardiotonics are traditionally used to support heart function and vitality. Extensive research shows the botanical extracts Hawthorn and Arjuna deliver optimum support for normal heart muscle function and coronary artery health. Standardized formulation. PGX® Weight Loss Meal Replacement by Bioclinic Naturals – This highly purified fiber and whey protein complex provides a full complement of vitamins and minerals to support healthy micronutrient metabolism and promote healthy weight loss by increasing satiety and reducing cravings. Low glycemic load helps to normalize blood glucose levels and improve insulin sensitivity. Clinically shown to enhance body fat loss while preserving lean muscle. Available in French Vanilla, Very Strawberry and Double Chocolate flavors. Wheat free formulation. Klean Endurance™ by Klean Athlete – NSF Certified for Sport® all natural D-Ribose is clinically proven to help restore and replenish core energy. These vanilla and orange flavored chewables contain a natural pentose sugar that supports ATP production and promotes cardiovascular health, energy production and mitochondrial function. Comments Off on To Improve Blood Pressure – Exercise! Tagged Athletic Nutrients by Pure Encapsulations, Bio-CardioSirt BP™ by Biotics Research, Cardio Peak™ by Life Extension, Klean Endurance by Klean Athlete, PGX® Weight Loss Meal Replacement by Bioclinic Naturals, To Improve Blood Pressure - Exercise!